I'm a little surprised that CU is only 1 pt behind AB. Agreed...I'm not sure how accurate that is. Either CU's ranking is higher than it should be, or this is indicative of the league as a whole being far weaker this year due to many of the teams losing talented players and replacing them with unknowns and freshmen that need time to develop. I know on paper TNU is way down, AB looks way down, CU looks way down...I'm not so sure Ohio Valley shouldn't be rated ahead of a couple of teams due to their experienced and talented back court. We'll see how it goes, but I definitely think the overall talent level in the league is down compared to last year. I have tried ,based on rosters, to rank the G-MAC MBB teams. I believe W will be the strongest ,by a lot, if they are well coached. I believe the rest of the league will have very good games at home and each team will have a hand full of loses. Most teams are at least a year away from peaking but there are good shooters on each team that can bring wins when hot. I think AB, Cedarville, OVU are very close with D&E a little better due to skill players and size. I have no idea about Malone but really glad to see them in the conference. W will be everyone's exciting pump it up game and I hope it helps them get ready for the tourney. Ohio Valley lost their top 3 leading scorers. Walker and Allen were big losses at 20 ppg and 17 ppg. Unless they have added some serious replacements, I think their ranking is justified. 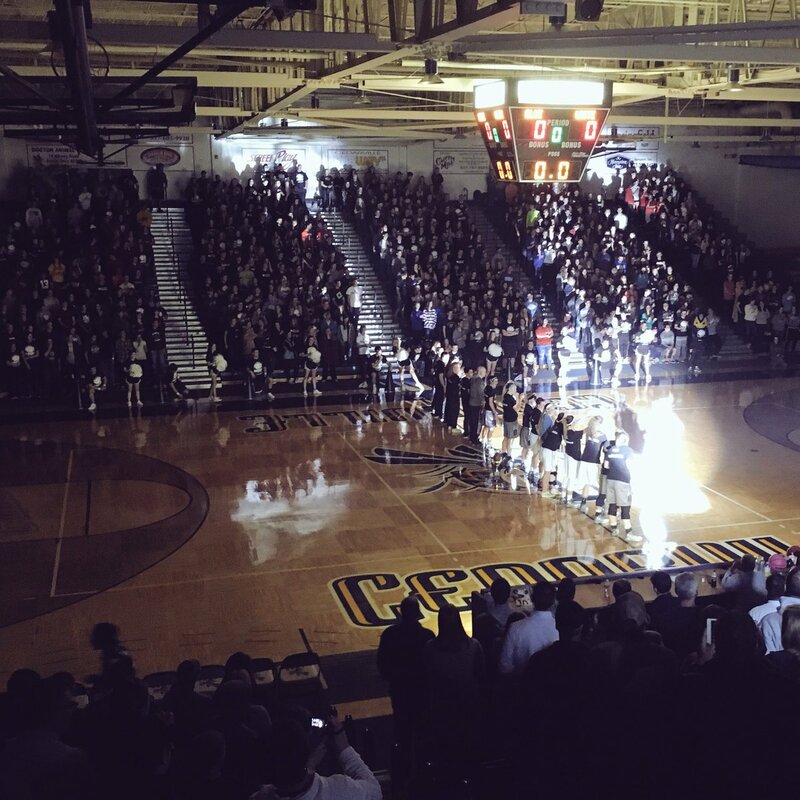 Cedarville and D&E return a lot. Polls don't mean much but D&E should be good. Their coach took over in October, did not have the luxury of every working with the squad, players not familiar with his schemes/plays, etc and I thought they finished pretty well. He returns a lot and a team that a year under their belt with him, including work in the off-season. Patella played for John Beilein at WVU. He brought in an assistant this year that played at WV Wesleyan for Beilein's son. So he has an assistant that is familiar now with the same offense and defense. It appears they have a lot now on the same page. Cedarville returns a good team too. I would give the nod to D&E, not that it means any thing, by way of beating Cedarville 3 times last year. D&E had some decent games at the end of last season as did Cedarville. I know nothing on Malone other than they weren't that great last season, but the GLIAC was strong. Ohio Valley is full of newcomers. When you dig into them you find they played pretty well at their last level. It is very hard to determine how good that last level was. Lots of small unknown programs. I think there maybe a couple of good players that flew under the radar. Time will tell. D&E has speed and size. Last year they began to learn how to win. I do not like their schedule. It my take them back a step. That's my bad. I mis-read. I thought it said they were returning Walker and Allen. Yeah, that makes a world of difference! Now we wait and see if the GLVC trolls come make fun of me as proof that people from Owensboro can't read. I read the same thing. I think G-MAC may have corrected their story. Interesting fact ,well as best I can remember, W PG Lindsey played against USI PG Washington and OVU PG Allen. He out scored both by a bunch. I know a couple of games do not mean much but Lindsey has a history of being a very good player playing on really good teams. When the G-MAC released their women's pre-season poll story, they said they would have Malone and ABU's previews up for today (Oct 24). I have yet to see those any where. Maybe I am missing them. I know most don't care about the last place team but I wanted to see if we snuck a recruit in there before school started. You, most of the rest of the BU guys, and schnautza ... and the Drury guys sometimes depending on what mood they're in ... are non-qualifiers in the troll department. Last edited by kwcpantherfan; 10-26-2016 at 11:29 AM. Saw that on twitter. Very cool! yes I get to go to some Cedarville games and they are a class act. Oilers sign 4 during early signing period. Pretty good ball by the Panthers tonight. I need to see the score box to make a final decision about their play as a whole. Bosley is the best player on the court. Some other players may not want to hear that, but I stated at the beginning of the season that this was his team. When they need him, Bos comes through. We do have some good post players, and Happy used them well. I don't think the game was ever in question as far as the Wesleyan players were concerned. Wayne State had some good shooters, but they got beat on the boards by KWC. I thought all the KWC players did some good things, but Jacks is not 100%. I tell you one thing, you better be ready to bring it down low against Wesleyan. Looked like a nice atmosphere and UK played this evening. Tomorrow night's game will be more well attended. They look like they are coming around, but they definitely have some kinks to work out. They don't have a lot. Mostly just confidence and some real swagger. I think they will have a good season. Happy talking about adding someone at mid year. I would guess he has been contacted by someone. So far, of the transfer players, Bennett is having a greater impact than Morlan. Bennett - started both games, 22 min avg, 11.5 pts avg, 7 rebound avg. Morlan - came off bench both games, 13 min avg, 4.5 pts avg, 3 rebound avg. Last edited by BlueBlood; 11-14-2016 at 06:22 AM. Findlay travels to Fairmont State tomorrow night in a very pivotal OOC game for both teams. If Findlay were to beat Fairmont, that would be a big win as they will get a road win over a team that will likely finish with over a 75% winning percentage. Fairmont should realistically only be beat by West Liberty, Wheeling and IUP the rest of the way and they are likely going to beat some from that bunch. Nice early season matchup.